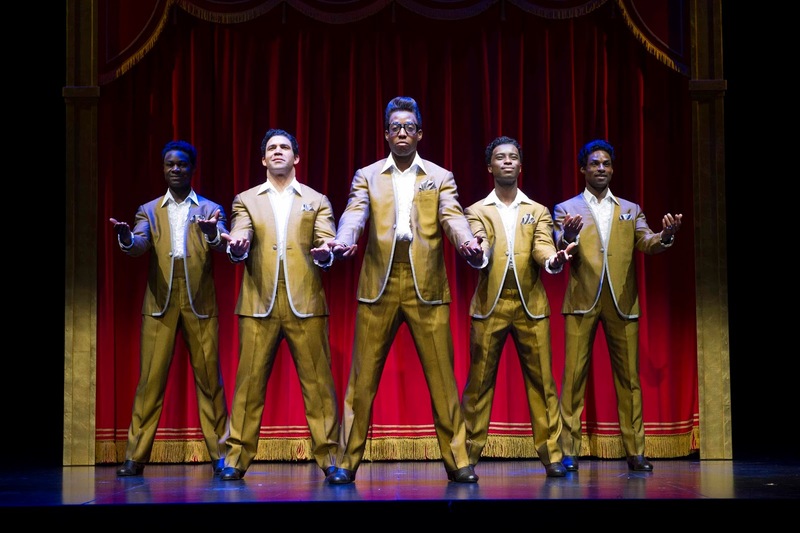 9th March 2016: Motown the Musical is the latest jukebox musical to transfer to the West End, following, in recent years, Memphis, Jersey Boys, Thriller: Live, Sunny Afternoon, and many, many more. 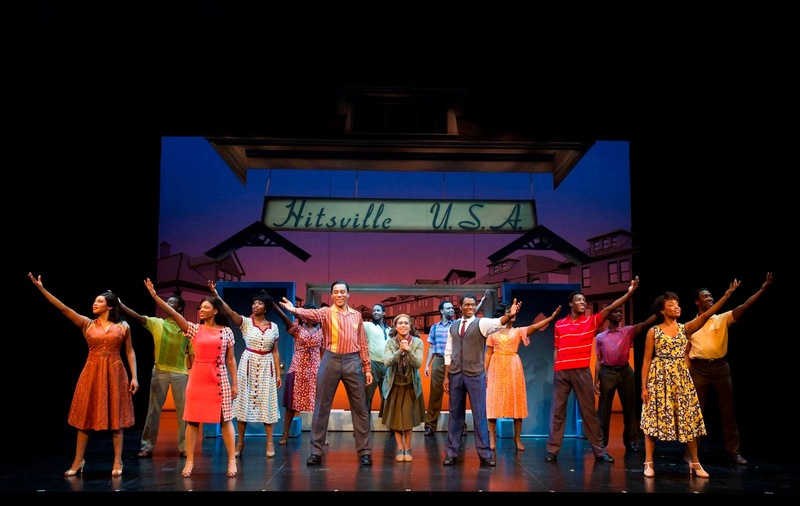 This show takes the music producer Berry Gordy as its focus and charts the rise of Motown, beginning as Gordy borrows $800 from his family to found the record label that will go on to launch the careers of Smokey Robinson, Diana Ross and the Supremes, Marvin Gaye, Stevie Wonder, and the Jackson 5. 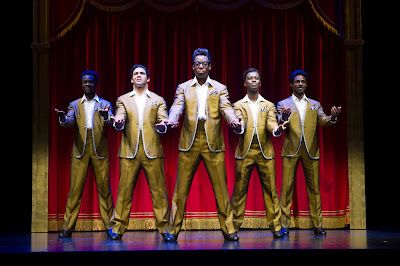 Unlike other jukebox shows such as Mamma Mia or We Will Rock You, however, in Motown the songs aren’t really woven into the book, featuring instead mostly as concert versions, or as characters auditioning their new songs for Gordy. Many famous faces flash through the action along the way (the Jackson 5 in particular received a roar of recognition as soon as they appeared! ), as the story charts Motown’s success against the broader backdrop of the civil rights movement in the US. 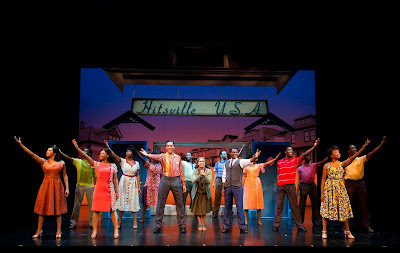 The entire ensemble is effortlessly energetic throughout the show’s relatively long running time, and there are some particularly engaging performances from the central cast, including Cedric Neal as leading man Berry Gordy and Lucy St Louis as Diana Ross, who perfectly charts Ross’s development from breathy, wide-eyed ingénue to show-stopping diva. Special mention should also go to Charl Brown, who brings a sweetness and optimism to Smokey Robinson which provides an excellent foil to Gordy in his more neurotic or dictatorial moments, and Samuel Edwards as Jackie Wilson, who delivers the show’s first moment of real razzmatazz in the first half with an excellent (and athletic) rendition of ‘Reet Petite’. There’s a slightly cringe-worthy moment of audience participation in the second half which holds things up a little, but otherwise the show zips along from hit to hit with little room for the audience to catch their breath (there are over 50 songs, according to the programme). It’s fantastic to have so many notable numbers included, and it really demonstrates the cultural dominance of Motown and the continued legacy of Gordy’s achievement, but at times I wanted to hear slightly longer versions of some of the more well-known classics. Extending the songs might also have assisted in the show’s storytelling, which, as mentioned, at times tends to elide some of the major events and characters in favour of a fast pace and ensemble numbers. Nevertheless, in the performance that I attended it was safe to say that Gordy’s ambition of ‘making people happy’ with his music was realised: by the end of the show the audience were dancing in the aisles (and no doubt the streets later on)! It’s a testament to the unifying power of these great songs, and shows just how influential Motown continues to be. If you’re a longstanding fan or just looking for a slick, professional, and unabashedly joyful show, then, this is definitely one to look out for. No booking fees via www.motownthemusical.co.uk, over the phone on 020 7379 5399 or in person at the Shaftesbury Theatre Box Office.